What’s the most popular boy’s name in your state? 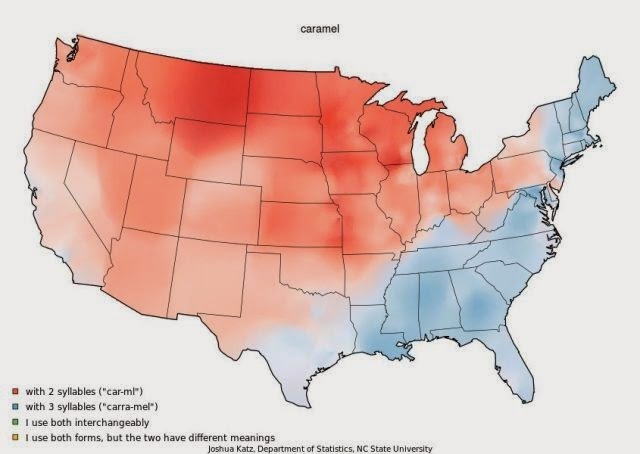 What’s the most popular girl’s name in your state? 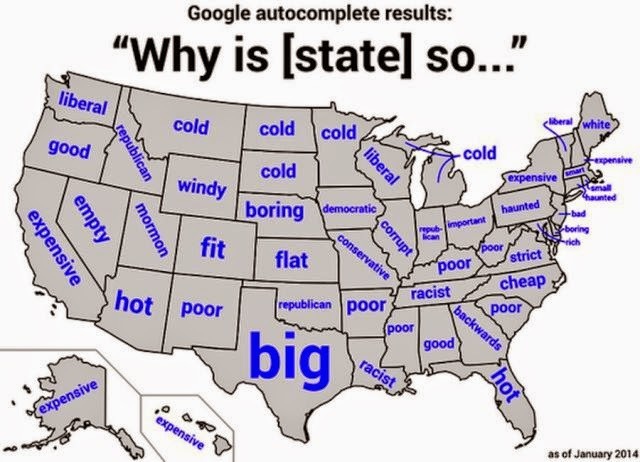 How does Google describe your state? 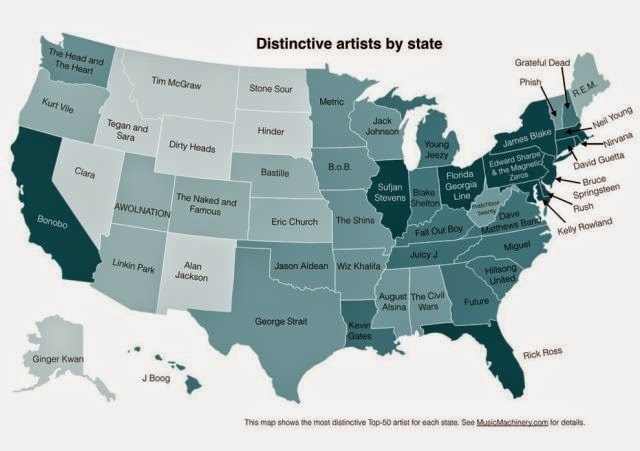 Who’s the most popular musician in your state? 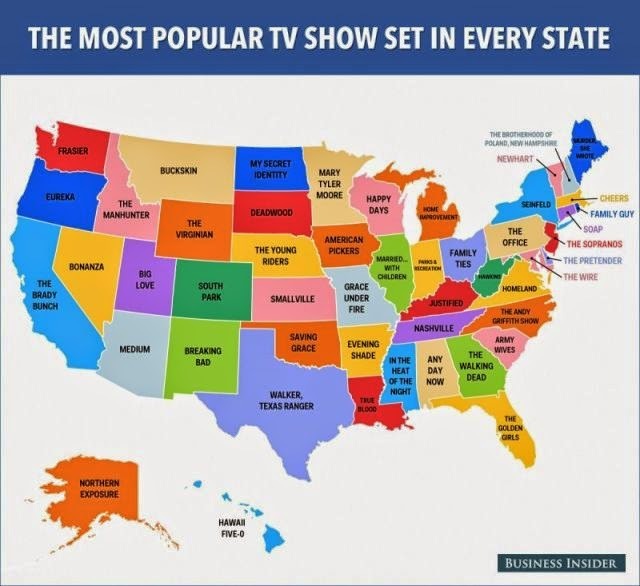 What’s the most popular TV show set in your state? 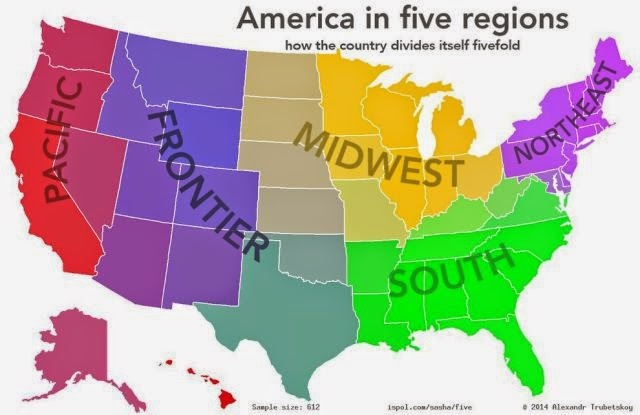 What part of the U.S. do you live in? 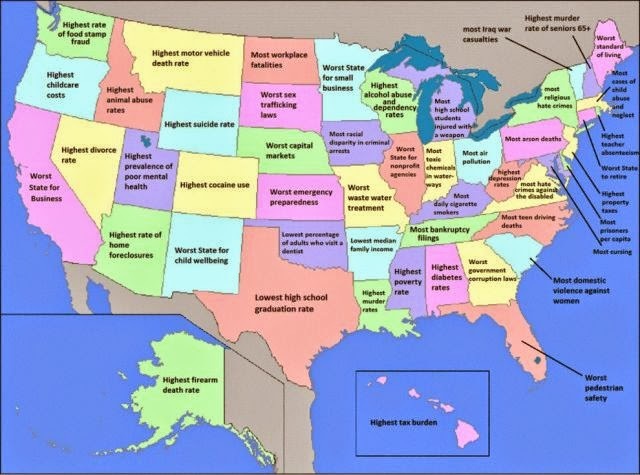 What is your state worst at? 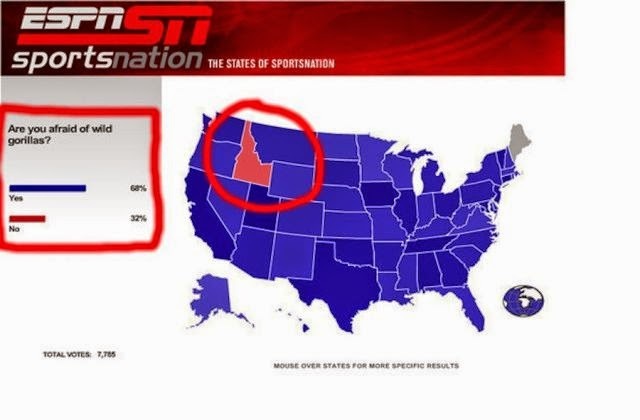 How much do the people living in your state hate it? 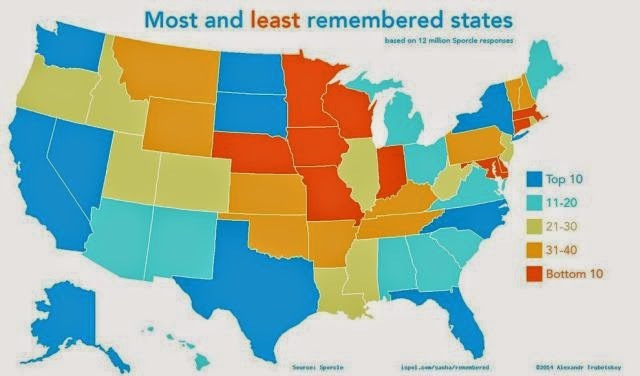 How forgettable is your state? 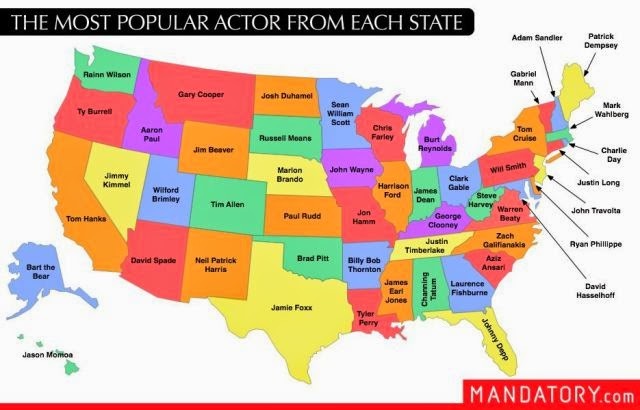 Who’s the most popular actor in your state? 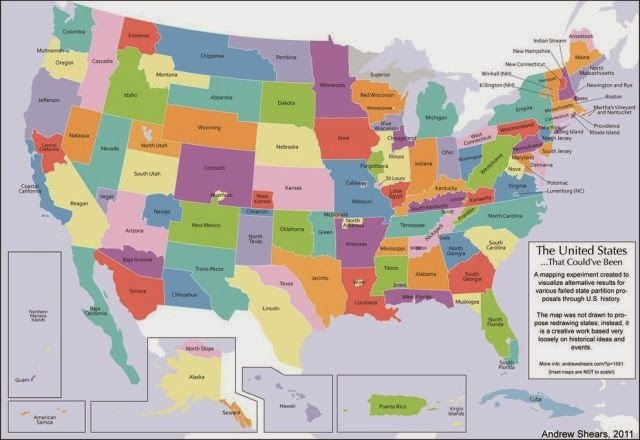 What’s the most popular movie set in your state? What do British people think about your state? Which country is closest to you? 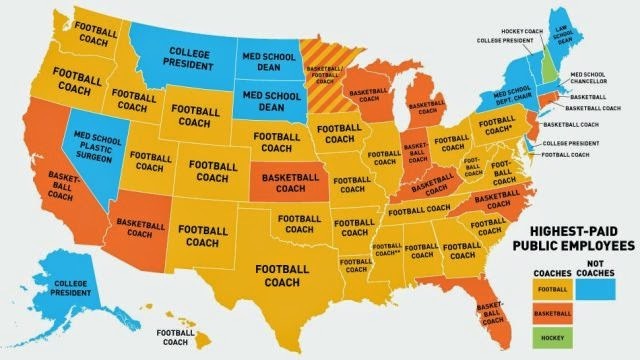 Who makes the most money in your state? 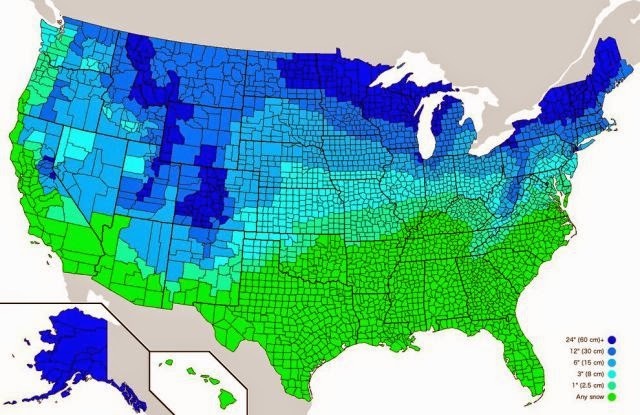 How much snow does your state need to have a snowday? 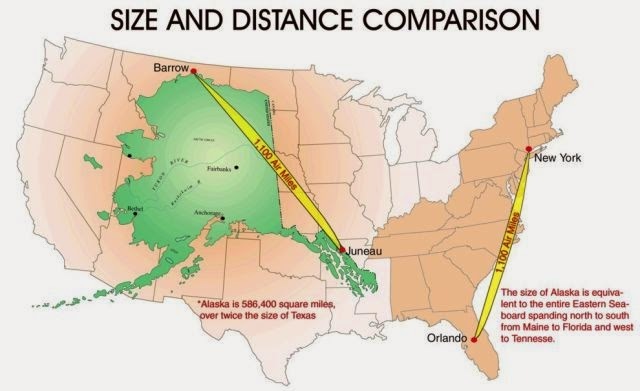 How big is Alaska, anyway? 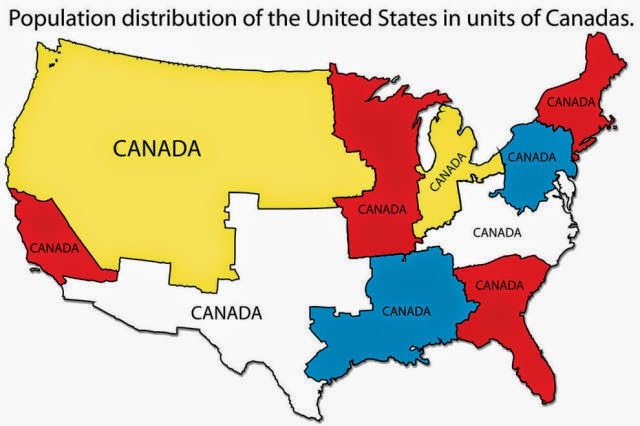 What does a population distribution of the United States, using the unit of “Canadas” look like? 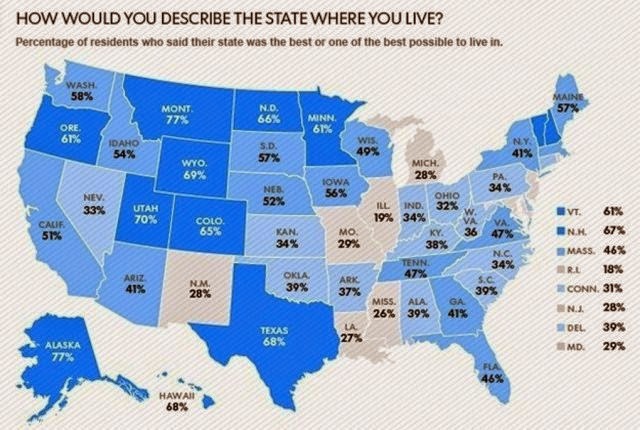 How happy are people to live in your state? 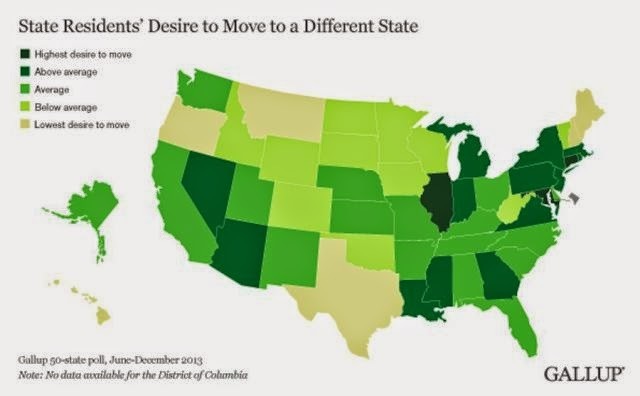 What would your state look like if every attempt to secede had been successful? 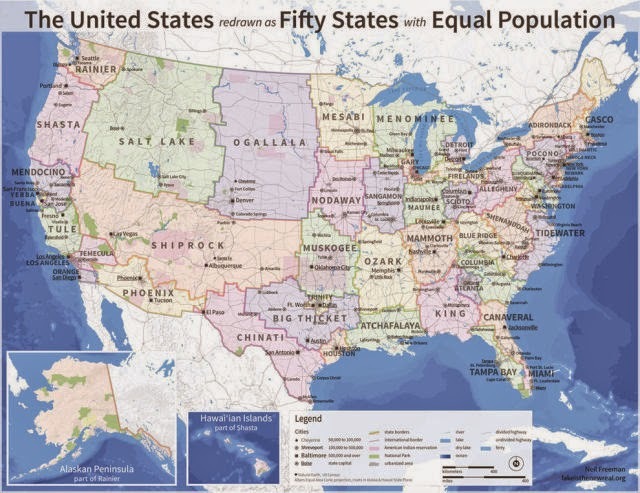 What would the United States look like if every area had equal population? 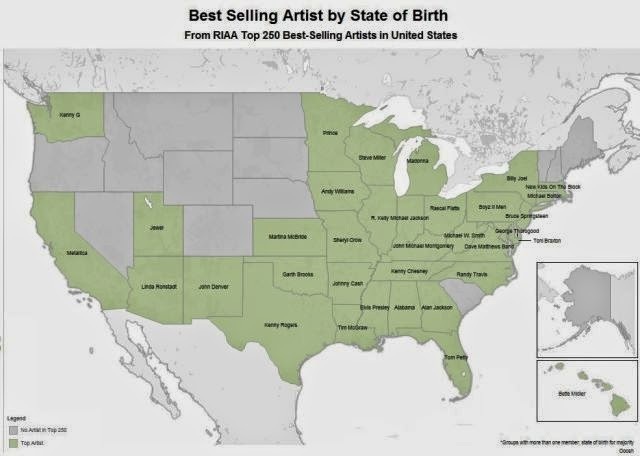 Who’s the best-selling artist in your state? 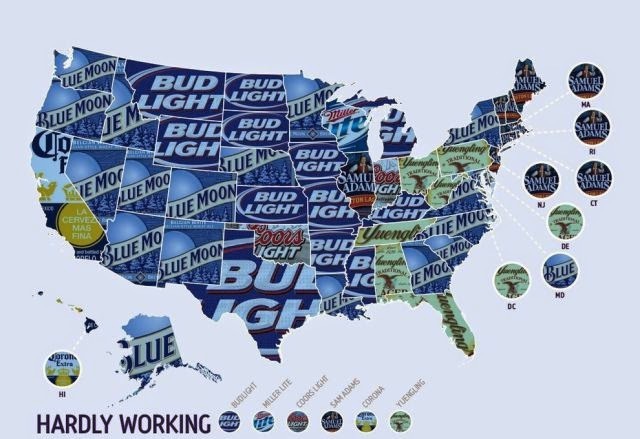 What’s your state’s favorite beer? 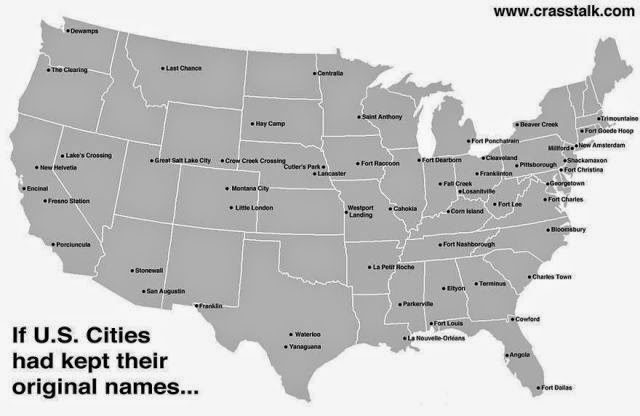 What would the most popular city in your state be called if it kept its original name? 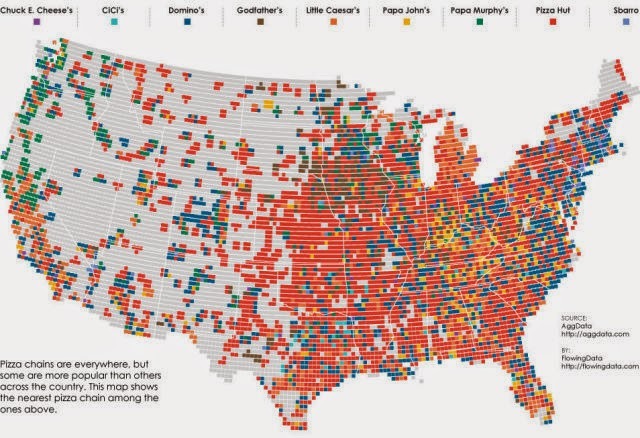 What’s the most popular pizza place in your state? 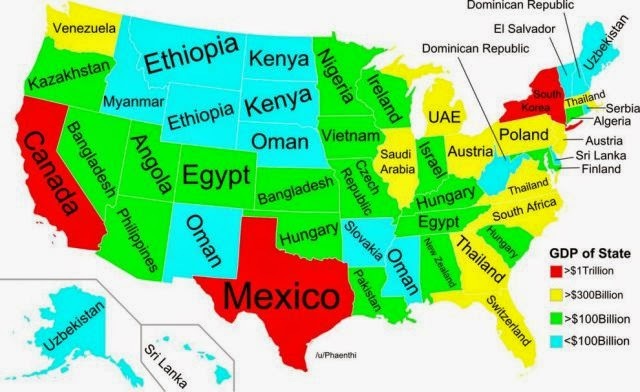 What country has the same GDP as your state? 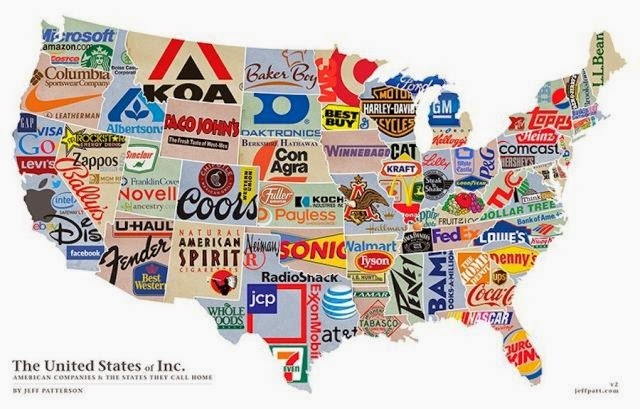 What company is your state known for? And, of course, how afraid of wild gorillas is your state? 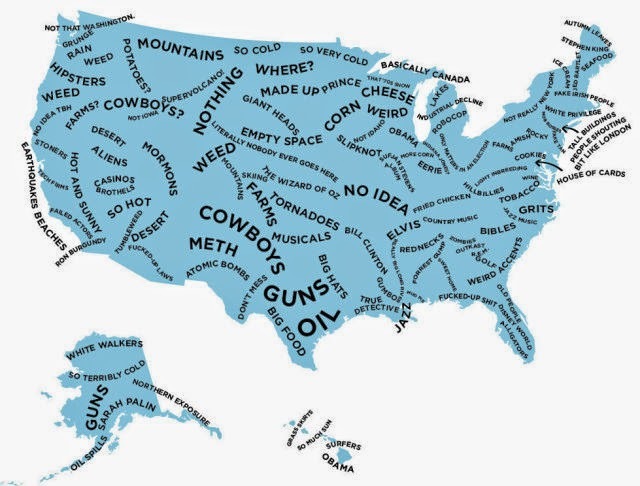 3 responses to "USA Maps With An Interesting Twist (26 Pics)"